Adigozelov`s creative work diapason is very wide. There are works in different genre here. He has grown under influence of the mugam climate since childhood. He is one of Azerbaijans most distinguished composer. In his repertoire you can see large symphonic works, small instrumental pieces, operas and operettas, as well as soundtracks for plays and movies. Adigozal also was actively involved with the administration of music. He is the son of Azerbaijani folk singer Zulfu Adigozalov. 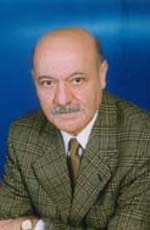 Vasif Adigozalov was greatly influenced by Gara Garayev. List of Works – Heroic, Africa Struggles , Garabagh Shikastasi, Land of Fire, Haji Gara (with Ramiz Mustafayev), My Novruz and others. He continued to carry out his responsibilities both at the Composers Union where he was Chairman (1990-2006), as well as the Music Academy where he had taught since 1961, and where he had chaired the Department of Choral Conducting (1992-2006).